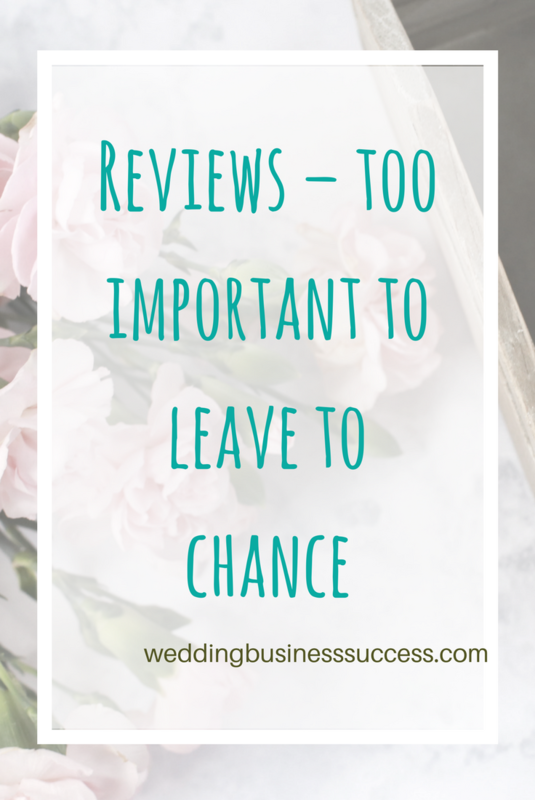 Do have a strategy for reviews within your wedding business? Reviews are an increasingly important part of online life and can have a big impact on your business success. They can affect your visibility online and they certainly influence couples when they come to book their wedding suppliers. There are lots of different places customers can leave reviews for your business. Here’s a brief overview to help you decide which will be most important for you. 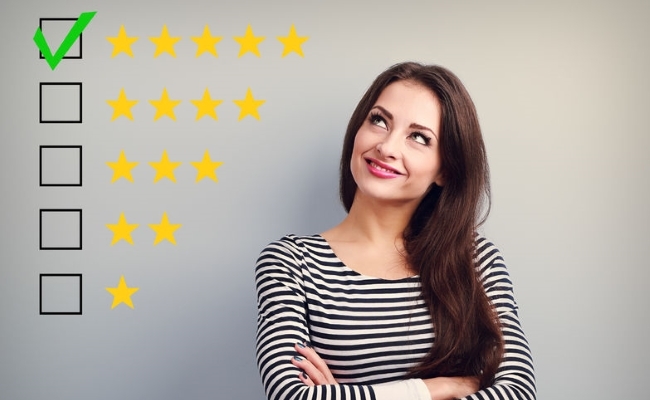 Google reviews are linked to your Google My Business listing – and it’s highly likely that reviews give you a boost in the map search results (although Google won’t confirm or deny). Your Google business listing also pulls reviews from other sites, like Facebook. Facebook reviews are optional for your business page. You can enable or disable the reviews tab. These are popular with users as they are very easy to do, so it’s a good idea to enable them. Many wedding directories (e.g. The Knot and Hitched) include reviews as part of your listing. Review providers like Feefo or Trustpilot are an option for larger organisations – they generally charge a fee but give credibility to your site. Of course, if you’re a wedding venue or similar there’s no getting away from Trip Advisor! It’s a good idea to have reviews in more than one place. But if you offer too many options to your clients then you may end up with just a handful of reviews on each site. 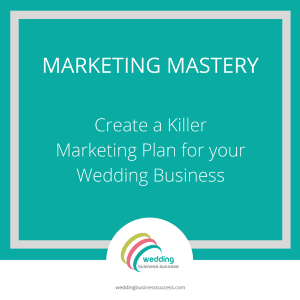 For a small business doing a limited number of weddings each year you want to build credibility so focus on one or two sites. Once you’ve decided where you’d prefer people to review you, then you need to set up a process to ask for reviews. It’s lovely when someone leaves a review spontaneously, but it doesn’t happen often. Most couples are too busy with their honeymoon! Make it a priority to email your clients and ask them to leave a review. A good way to word it is to ask them to leave a review if they were happy and to contact you if there was something that could be improved. Make it easy – include links which take them directly to the place where they can write a review. Every small business dreads a bad review – especially if it’s unjustified. The first thing is not to panic when you see a poor review. Take some time to calm down and think about it. Now think about your response. Is the criticism justified – even just a little bit? What can you do to resolve things? Publish a reply. Acknowledge the issue e.g. “Thank you for bringing this to our attention…..” or “I’m so sorry our service didn’t meet our usual standards….”. Then let them (and other readers) know what you are doing about it. “I’m contacting you to find out more details ….”. Don’t get into an argument online and at all times make sure your responses are calm and professional (however much you may be screaming inside). If you handle it well, you can turn round the unhappy customer and give new customers confidence that you care about your products and service. Unfortunately, there are some businesses who think it’s a good idea to trash their competitors ratings by posting fake bad reviews. This is a particular hazard on Facebook. If this happens to you then stay determined and keep the pressure on Facebook (or other review platform) to remove blatantly fake reviews. If it’s a single review from someone you don’t recognise then ask them for details so you can investigate. If you’re certain they weren’t a customer then add a brief, factual comment on the review and ask them to remove it. By being proactive about getting reviews and prepared if a bad one pops up, you’ll enhance your online reputation and grow your business.